The extraordinary touches a seemingly ordinary moment of family life, in this tender, heart-warming story. "A remarkable story ... young and old readers will be spellbound throughout this torrential tale" Observer The Winner of the Australian Prime Minister's Literary Award 2017Fr... read full description below. 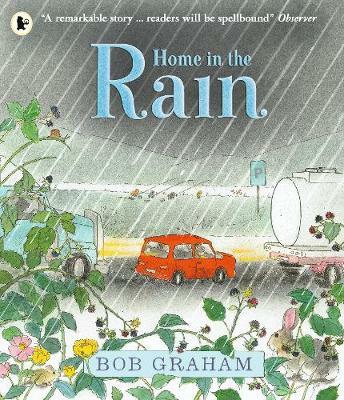 Bob Graham is a Kate Greenaway-winning author-illustrator who has written and illustrated many acclaimed children's picture books including The Poesy Ring, How to Heal a Broken Wing, How the Sun Got to Coco's House, Max, Jethro Byrde: Fairy Child and April Underhill: Tooth Fairy. 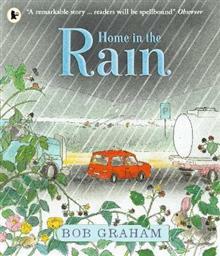 His 2011 title, A Bus Called Heaven, is endorsed by Amnesty International UK and was the winner of the 2012 Children's Book Council of Australia Picture Book of the Year Award - a prize Bob has won an unprecedented seven times. He has been awarded the prestigious Prime Minister's Literary Award in Australia twice, in 2014 for Silver Buttons and in 2017 for Home in the Rain. Bob lives in Melbourne.